Then randomly I purchased a used MPSMv1 ( Monoprice Select Mini v1 )from a friend leaving the Toronto area, which was a smaller older printer with a very solid following because of it’s low price. Like all Monoprice 3D printers the MPSMv1 ships fully assembled and I didn’t have to source any missing parts. Unlike paper printers the technology is very new and most 3D printers lack sensors to optimize the print quality. Instead it’s up to the user to manually adjust bed levels and extruder flows to get the optimum experience. I printed a new filament spool holder and added a magnetic build plate, which I cut to fit. After printing with the MPSMv1 for a about a year, my main issue with the MPSMv1 was the build size, which was limited to 120mm x 120mm x 120 mm. The printer was also at least 3 years old and lacked the power to heat up quickly. I wanted a newer printer with a bigger print volume, more powerful power supply and small budget. 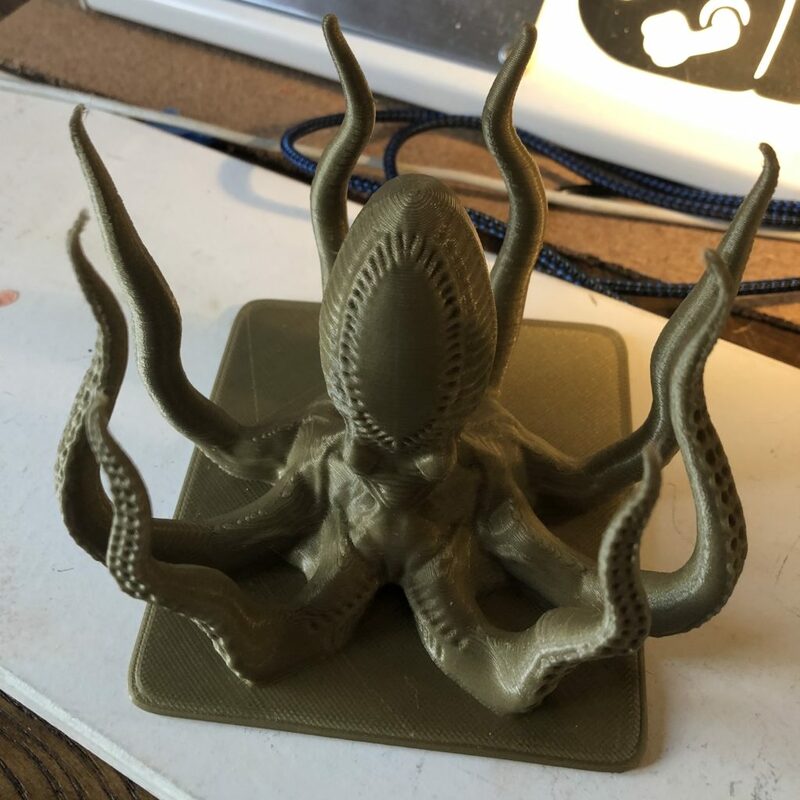 I decided that the Creality Ender 3 Pro would be my next printer. The ender 3 comes mostly assembled, the instructions were a single page and I had it printing within 30 mins. So far it’s been a great printer, the quality of prints is really good and the power supply heats up the printer within a few minutes.